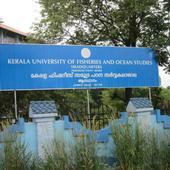 The Kerala University of Fisheries and Ocean Studies ( KUFOS ) is an autonomous public funded institution established on 20th November 2010, and governed by the Kerala University of Fisheries and Ocean Studies Act, 2010 passed by the Kerala Law ( Legislation 1 ) Department vide Notification No. 19540 / Leg.1 / 2010/Law dated 28 th January 2011. This is the first Fisheries University in India coming under the Fisheries Ministry with its headquarters at Panangad , 12 km. away from Kochi city, along the NH-47. 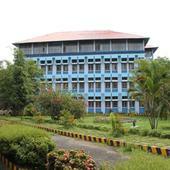 College of Fisheries , Panangad, Kochi and the Fisheries Research Station, Puduvype were disaffiliated from Kerala Agricultural University to form KUFOS which started functioning with effect from 1 st April 2011. This is the primary and principal instrumentality of Kerala State in providing human resources, skills and technology required for the sustainable development of Fisheries and Ocean Studies. It acts as a centre of excellence for human resource development in Fisheries and Ocean Studies and the nodal agency to establish relationship with institutions and universities functioning at national and international level. The mission of the University is to serve as a flagship University of higher learning through demonstrated and growing excellence in teaching, research, extension, training, scholarship and creative work in Fisheries and Ocean studies, comparable with global standards that will benefit the country and the world at large. 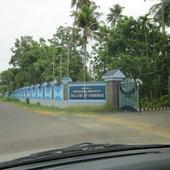 Kerala University of Fisheries and Ocean Studies, Kochi has 39 Departments listed that offer various academic courses. 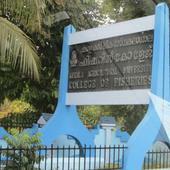 Are you Interested in studying at Kerala University of Fisheries and Ocean Studies, Kochi?